In September 2015, Fertitta Entertainment LLC, the entity that Station Casinos LLC is proposing to acquire for $460 million using Red Rock Resorts, Inc. IPO proceeds and additional debt, borrowed $30 million to buy “an asset.” As the company says in its IPO filings, “Fertitta Entertainment entered into a $22.0 million secured promissory note and drew an additional $8.0 million under its revolving credit facility to finance an asset purchase.” The company has not disclosed the nature of the asset purchased. Loan documents we have found show that Fertitta Entertainment bought a 2011 Bombardier Global Express jet in September with a $22 million loan from Guggenheim Aircraft Opportunity Master Fund LP. The five-year loan from Guggenheim was made with a Fertitta Entertainment subsidiary, FE Aviation II LLC. 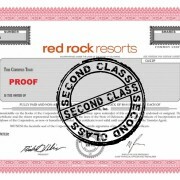 Red Rock Resorts will at least pay off some of the financing used for the purchase. 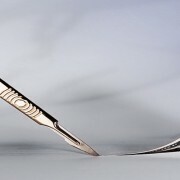 According to the IPO filings, “All amounts outstanding under the [Fertitta Entertainment] Credit Facility are expected to be repaid, and the FE Credit Facility is expected to be terminated, upon consummation of the Fertitta Entertainment Acquisition.” Red Rock Resorts will therefore pay off at least the $8 million Fertitta Entertainment borrowed from its revolver to finance the private jet purchase. What about the $22 million loan? The IPO filings do not make clear if the company will also pay off the $22 million loan Fertitta Entertainment took for the private jet. What the filings do make clear is that paying off this $22 million loan will not be part of the $460-million purchase of Fertitta Entertainment. Meanwhile, the company states that, “an airplane will be transferred by Fertitta Entertainment to one or more of its members or their affiliates prior to the consummation of the Fertitta Entertainment Acquisition.” No further details about this transfer are disclosed in the IPO filings. The same month Fertitta Entertainment borrowed $30 million for a private jet, two other private jets owned by the Fertitta family made 53 flights in September alone. Both private jets are registered through entities that list Frank J. Fertitta III, and Lorenzo J. Fertitta as managing officers (see here and here). 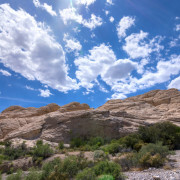 One private jet made thirteen round-trips between Las Vegas and southern California, and the other private jet made three round-trips between Las Vegas and Indiana, and also flew to Pennsylvania, Virginia, California, and New Mexico. 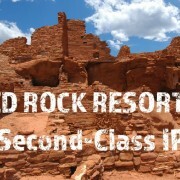 Red Rock Resorts, whose primary business lies in the Las Vegas locals market, claims “that one of [their] competitive strengths has been the ability of our highly experienced management team, led by the Fertitta family, to identify, develop and execute innovative and value-creating opportunities.” The company has not disclosed what out-of-Las Vegas opportunities its owners might have been pursuing with their frequent travel.